Bringing sludge up to the right temperature (180 to 200 °C) for 30 to 60 minutes results in an irreversible change to its physical structure, significantly reducing its specific resistance, especially when it contains a high proportion of organic matter. the precipitation of some substances in solution. Cellulose is slightly degraded and fats remain relatively stable. 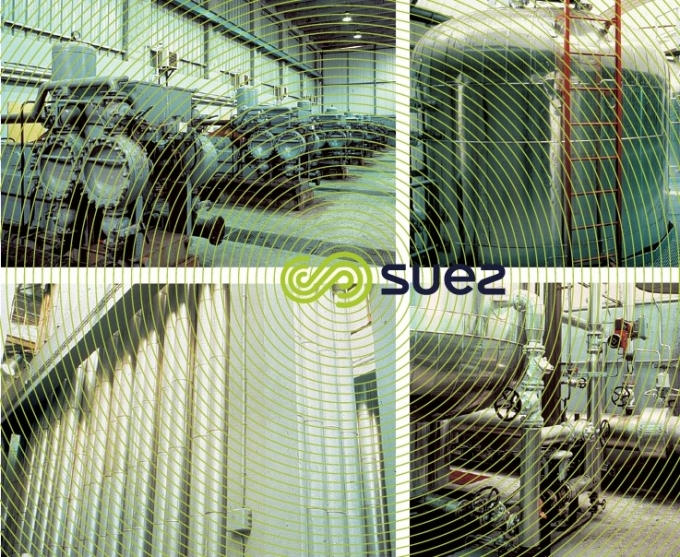 Depending on the type of sludge, heating will render soluble 20 to 40 % of OM and, therefore, result in the production of interstitial liquor containing 3,000 to 6,000 mg · L–1 of BOD5 (COD/BOD5 ratio in the region of 2.5). The highest figures are obtained when heating fresh sludge. This solubilisation increases with temperature and with heating time. Nitrogen is present in the liquid phase in relatively high amounts (0.5 to 1.5 g·L-1 as NH4+); phosphorus, however, together with metals, remains precipitated in the sludge. major and rapid thickening after heating. 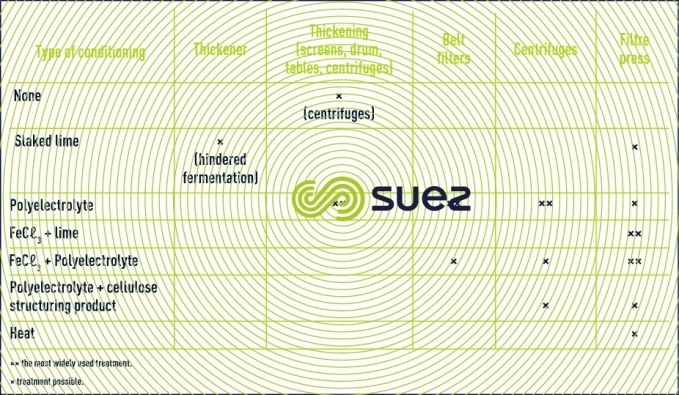 heat exchange surface areas need to be cleaned at regular intervals: in particular, prohibiting the process from being used on sludge that have a high calcium level. Figure 14 provides the most frequently used operating schemes. In all cases, the aim is to recover as many calories as possible from the heated sludge to the sludge that is to be heated so that the external heat required only represents a warming up for 40 °C. This recovery is achieved by concentric tubular exchangers with counter current low. A separate reactor is always useful to ensure a minimum heating time and a well checked temperature. or through indirect heat exchange with a non-vaporisable heat exchange fluid such as oil: this is the Cothermol system. 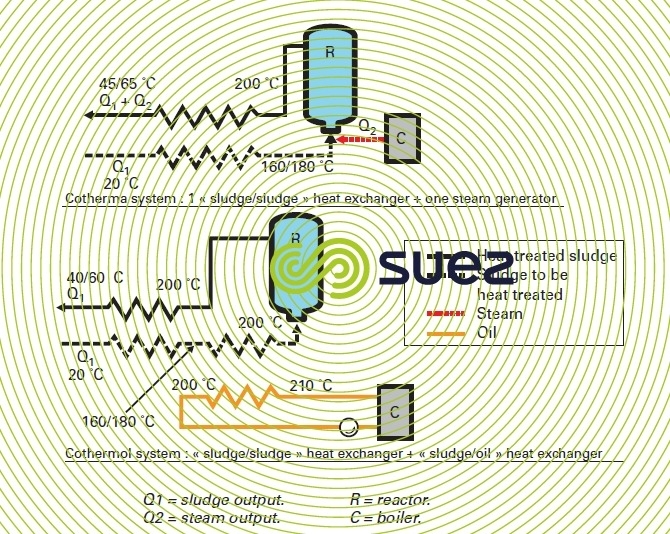 indirect injection via a heat exchange fluid: 40 to 70 kWh · m–3 of sludge. Table 6 summarises the different treatment options (discussed in chemical conditioning and heat treatment) upstream from several dewatering technologies.